Manchester’s first ever rum festival is coming to town this year, thanks to freelance drinks curator Dave Marsland, aka the Drinks Enthusiast. Located at Revolución De Cuba, the festival will be held on Saturday 3rd June, and will boast over 40 types of rum including Bacardi, Chairman’s Reserve, Diplomático, Sailor Jerry and Mezan. Brunches, afterparties and shenanigans galore will mean it’ll be a Caribbean affair from dusk ’til dawn. Tickets cost £15 for the festival (brunches and afterparties not included) which runs from 12pm-5pm, and include a welcome drink by sponsor Coco Re’al, along with a taster from each of the 15 stalls as you work your way round exploring the top brands. 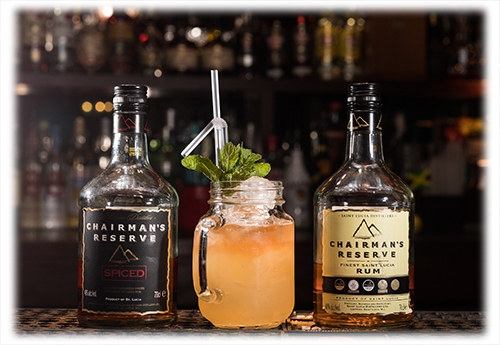 Dave Marsland said “Rum is a staple within the Manchester bar scene, especially with the popularity of venues such as Revolución De Cuba, so I wanted to celebrate it! There’s so many incredible rum brands I felt the best way to celebrate them would be with a festival. *Prices not included in ticket, this is a normal bar operation. With a week and half to go until this year’s UK RumFest, what can you expect of your day out immersing yourself in all things rum? Well for starters, Rum and a lot of it. It may sound obvious, but with so many rum producers exhibiting at the show and with most of them having more than one expression of rum available, for those who have never been before, if can be quite an overwhelming experience as to how much rum there is to choose from on the day. 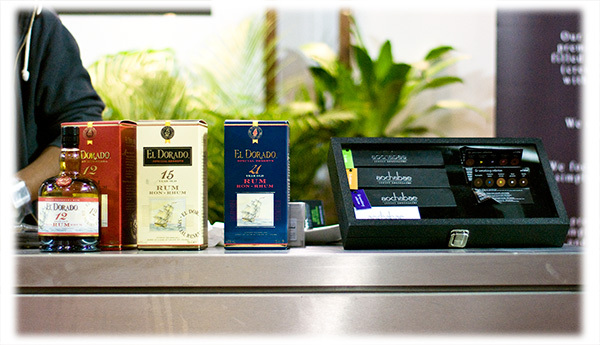 While some of this rum will be available in the form of cocktails, most will be provided in the form of 1cl tasters – all the better for being able to appreciate the flavour and character of the rum. For those of you who are not used to drinking spirits neat, the best piece of advise to be offered is pace yourself, drink plenty of water from the various water coolers dispersed around the show and follow the RumFest Etiquette Guidelines. … an international celebration of rum & cane spirit. 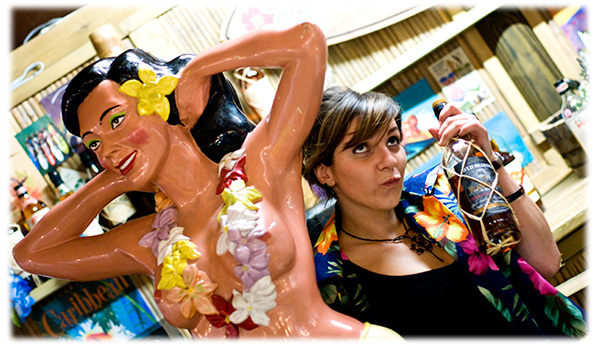 The Rum Experience prides itself on bringing together the finest rum, great food and a range of educating seminars and entertainment to make learning about rum both fun and stimulating. From personal experience, this statement does truly sum up what to expect when visiting RumFest and it’s also fair to say that words alone cannot sum up the experience. Of course, if you don’t follow the advice given above, you might find it even harder to put anything into words the following day… So lets forget words for a moment and rely on the old adage of a picture paints a thousand words and check out the Rum@Charlosa Pinterest board for some photographic inspiration of some of the things to expect at RumFest. And what of the great food, education and the fun mentioned above. Well it includes: live entertainment, such as Salsa, Soca, Reggae, Zouk and Samba; the Tropical Food Market; the Cooking Demonstration Stage (hosted by Chef Hasan de Four); Food and Rum Pairings; the chance to win holidays to the Caribbean and visit a real rum distillary; live cocktail demonstrations; cocktails to try from some of the UKs best mixologists; hundreds of rums to try and buy and several Rum Experience University Masterclasses conducted by industry experts and master blenders. All being well you’re now sold on the idea of the rum, but which shores must you head to with a steady wind in search of this here pirate’s booty. Well, for the second year in the events history you can expect to set sail towards the ExCel Exhibition Centre on the northern quay of the Royal Victoria Dock in London Docklands. The nearest station is Custom House on the Docklands Light Railway (DLR), which is served from either the Tower Gateway or Stratford lines through to Beckton. The UK RumFest 2013 opens its doors at 12pm midday on Saturday 12th October, with last pours at 4.30pm and closes at 5pm. For those of you who either can’t make the Saturday or just love rum that much that you need to head back for a second day, you’ll be pleased to know that RumFest is also opening its doors for the same times on Sunday 13th October. Now you know when and where to head for your rum, how much is this little expedition going to cost you to get there. Well RumFest tickets come in two flavours and cost £25 and £45 each day for the Rum Experience Ticket and the Connoisseur Cove Ticket respectively. For the serious rum lover, you can alternatively purchase a weekend Connoisseur Cove Ticket for £80, giving a saving of £10 over separate tickets for both days. All tickets are subject to a booking fee. 5 tasting sample tokens to exchange for 1cl sample and 50ml mini cocktail samples within the Rum Experience Area ( no more tokens will be available to purchase). And for those of you in the professional drinks trade, make sure you register for The Boutique RumFest, which runs alongside RumFest, for the opportunity to see and try many new brands and expressions, many of whom are looking for UK distribution. 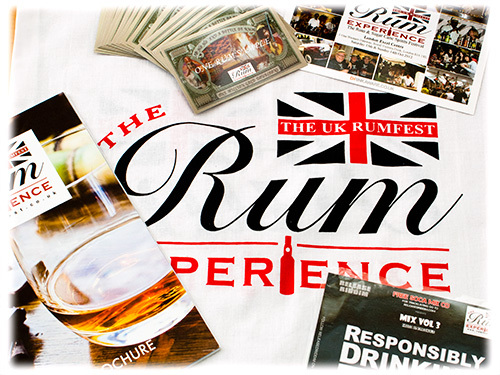 So now you know what to expect, what are you waiting for, mark Saturday 12th and Sunday 13th October in your diary, head over to the UK RumFest 2013 Website and book your tickets now and make you so you finish London Cocktail Week with some serious rum fun. Oh did I not mention it’s London Cocktail Week next week… You wait ages for a drinks event to turn up and then they all turn up at the same time – no wait, isn’t that meant to be buses… Anyway, make sure you also check out the London Cocktail Week website to help get you in the right spirit for the UK RumFest 2013.